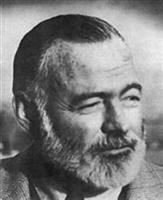 In 1918 Ernest Hemingway went to war, to the 'war to end all wars'. He volunteered for ambulance service in Italy, was wounded and twice decorated. Out of his experiences came A Fairwell to Arms. Hemingway's description of war is unforgettable. He recreates the fear, the comradeship, the courage of his young American volunteer and the men and women he meets in Italy with total conviction. But A Fairwell to Arms is not only a novel of war. In it Hemingway has also created a love story of immense drama and uncompromising passion. Excellent efficient service with plenty to select from to suit all tastes.